Mid-range phones are a tough nut to crack. While smartphone engineers are granted free reign when it comes to flagships, mid-tier phones struggle to tread that fine line of high-end features and affordability. More often than not, these £300-ish phones aren’t particularly well-received. The HTC U12 Life, however, seemingly hits the nail directly on the head. HTC’s mobile division is still kicking about and, clunky name aside, this well-priced smartphone actually has the potential to breathe new, ahem, life into the long-standing Taiwanese firm. 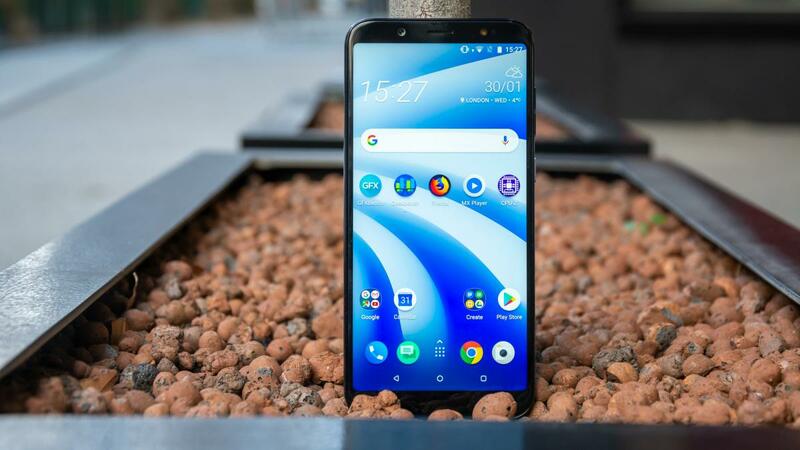 The HTC U12 Life seeks to give pricey flagships a proper run for their money. It’s equipped with some rather generous internal specifications; there’s a Qualcomm Snapdragon 636 processor on-board, complete with 4GB of RAM and 64GB of expandable storage. The U12 Life’s trendy-looking design might be what initially catches your eye, though. There’s simply nothing quite like it at the moment, and while I’ll go into slightly more detail in a little while, it’s almost worth the price of admission alone. Almost. 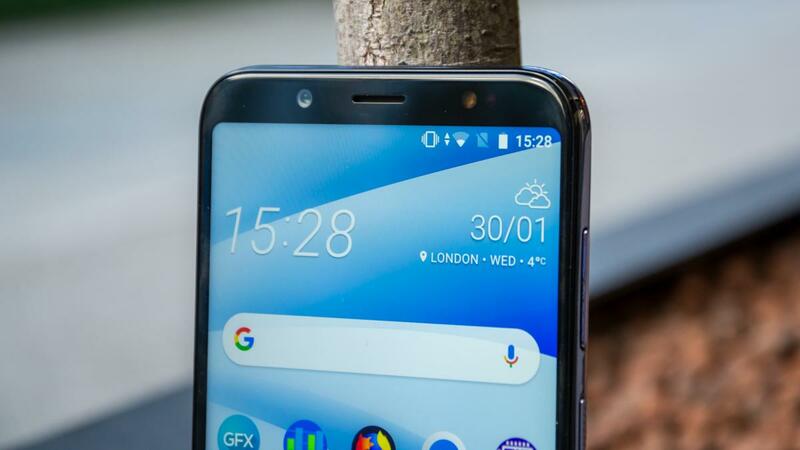 Rather than circle the four-figure mark for its latest smartphone, HTC’s U12 Life is sitting on shop shelves at a more wallet-friendly SIM-free price of only £269. That’s rather impressive, and it’s definitely welcome, but the U12 Life faces some stiff competition at that price. Notably, Xiaomi’s superb Pocophone F1 is a mid-range masterpiece, equipped with flagship internals with a not-so-flagship price tag attached. Likewise, the Nokia 7.1 is slightly cheaper, comes powered by similar internal specifications as the U12 Life, and runs stock Android. And, if you’re looking to save even more money, Motorola’s budget-friendly Moto G6 is a solid buy at only £200. The HTC U12 Life’s lavish new dual-finish design is stellar; the chassis is fitted with microscopic metallic particles sandwiched between multiple layers of glass. 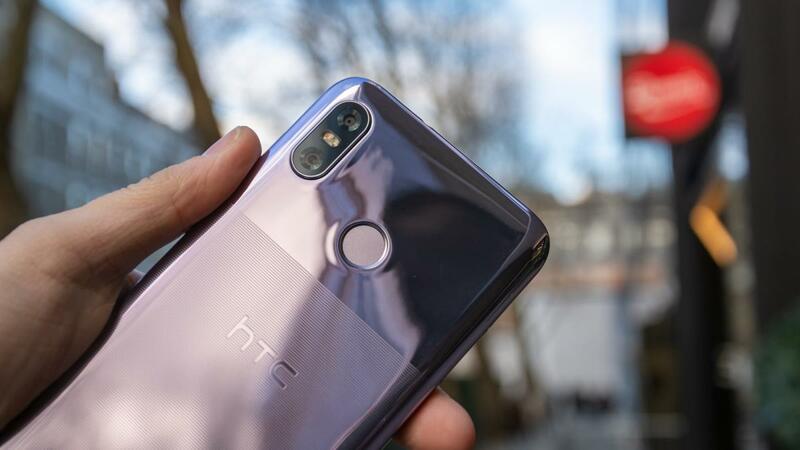 HTC calls this “Optical Spectrum Hybrid Deposition”, and this sci-fi effect creates the illusion that the phone has a metallic, shiny quality. The bottom two-thirds of the phone’s back are laser engraved, with 3mm deep stripes running horizontally for added grip. It’s a particularly special look, and also helps keep your phone in your hand while you’re wandering about staring at Google Maps. It does pick up fingerprints quite easily, though. The top portion of the phone’s rear is coated in the mirrored, metallic-looking glass I mentioned earlier, and includes the rear camera modules and circular fingerprint reader for secure unlocking. As for colours, the HTC U12 Life can be picked up in either Moonlight Blue or Twilight Purple, with both paint jobs looking equally striking, glinting when the phone catches the light – as you can see from my images. The rest of the phone’s particulars are all above board, too. 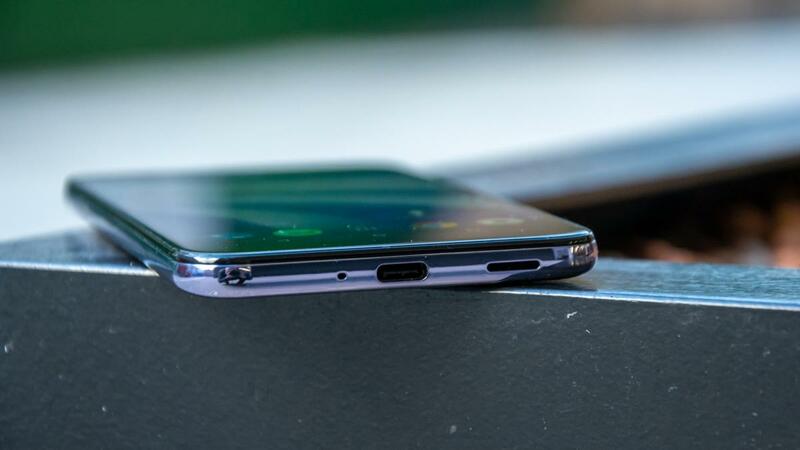 There’s a USB Type-C charging connector on the bottom of the phone, which has become a pretty standard addition these days, while a volume rocker and textured power button sit side-by-side on the right edge. You’ll find a 3.5mm headphone jack at the top (hooray! ), as well as a nano-SIM and microSD card tray on the left-hand edge. Elsewhere, you’ll find a 6in bezel-less screen on the front, with a generous screen-to-body ratio of 83%. There’s no iPhone Xs-like notch either, with chunky forehead and chin bezels above and below the screen. As for the actual specifications of the display, you’ll be staring at a rather nice-looking FHD+ (1,920 x 1080) resolution LTPS panel with a pin-sharp pixel density of 402ppi. The U12 Life has just one display mode, which seems to be tuned to DCI-P3 rather than the standard sRGB colour space. This means the phone is better suited to watching movies and Netflix shows rather than browsing the web and reading ebooks, where you’ll find the U12’s text and images look a little oversaturated. According to our X-Rite colourimeter, the U12 Life’s screen is capable of reaching a maximum brightness of 425cd/m2, with a relatively high contrast ratio of 1,321:1. An average Delta E of 3.05 also proves that colours look decent across the palette, but with slightly oversaturated red, dark green and purple tones. HTC has picked Qualcomm’s newest mid-range chipset to powers this phone: the octa-core Snapdragon 636, clocked at 1.8GHz. The U12 Life also includes 4GB of RAM for juggling your Android applications, as well as 64GB of onboard storage, expandable via microSD. According to the Geekbench 4 single- and multi-core CPU tests, the Snapdragon 636 offers a massive 47% improvement in processing power over the previous-generation Snapdragon 630 chipset, which powered 2017’s HTC U11 Life. Anecdotally, most applications feel nice and nippy, and you shouldn’t encounter any major issues when navigating the UI. The embedded Adreno 509 GPU also offers a 12% improvement in graphics processing power. The GFXBench GL Manhattan 3.0 test returned an average framerate of 16fps, which is actually pretty decent when put side-by-side with those top-end flagships that cost two, and in some cases three, times as much. Keeping things running is a 3,600mAh battery, which is capable of lasting 13hrs 46mins on a single charge, according to our in-house video rundown test. For comparison, the HTC U11 Life’s stamina lasted roughly two-and-a-half hours less under the same conditions, and even that’s ahead of the Nokia 7.1. Xiaomi’s Pocophone is still in front, however, lasting 15hrs 29mins. The U12 Life runs Android 8.1 Oreo out of the box, which isn’t the latest version of Google’s ever-popular mobile operating system, although an update to Android 9 Pie is scheduled for the near future. Just don’t expect the kind of stock Android experience you’d get with Nokia’s mid-range handsets. HTC’s own Custom Sense overlay is running the show once more, which changes things up ever-so-slightly, and tweaks the look of some app icons. There are also a few pre-installed apps when you first boot up the phone, including the usual suspects such as Facebook, Messenger and Instagram, but also HTC’s own Themes store. As the name suggests, this allows you to customise the look of your phone’s OS with a wide variety of user-made and official HTC themes. Blinkfeed also returns, although HTC’s version of Google’s ‘Discover’ feature on Pixel phones isn’t quite as good as you remember it being. The customisable newsfeed has vanished, and instead if you swipe right from the side of the screen you’re bombarded with adverts. You can choose to link Blinkfeed with your social media accounts if you want, but that’s about it for customisation. As for the U12 Life’s photographic capabilities, the rear of the phone is fitted with a dual-camera arrangement. One of these is the main 16-megapixel camera, complete with a relatively wide f/2.0 aperture, which works with a 5-megapixel f/2.2 depth sensing unit for fancy bokeh-effect portrait shots. On the front of the phone you’ll spot a 13-megapixel f/2.0 camera for your Instagram selfies. In my camera tests, I found the results to be distinctly average. Still images do look pretty good for the most part, especially outdoors in bright ambient light, with natural-looking colours and the phone’s HDR mode lifting up shadowy areas quite well, but the sensor fails to bring out finer details. By comparison, the cheaper Moto G6 captures excellent images with oodles of detail. The HTC U12 life has a dedicated Night mode, which supposedly helps reduce image noise and improves pictures taken in low-light environments. Sadly, this fails to achieve anything particularly special, although dim-light photos didn’t look quite as good with Night mode switched off, so it’s clearly doing something right. Lastly, the phone’s rear camera is also capable of recording 4K resolution video at a maximum frame rate of 30fps, and Full HD (1080p) footage at a silky-smooth 60fps. Sadly, while the camera is capable of capturing nice-looking footage, the lens isn’t optically or electronically stabilised, so video is a bit of a mess. When it comes to it, then, the HTC U12 Life is altogether a bit of a mixed bag. It doesn’t quite represent a cornerstone for the company, and ultimately fails to recapture former glories. Its design is quite lovely, battery life is fine and performance is rather good, but phones in this price bracket are already doing far greater things. Previous ArticleWindows 10 gains users, but so does Windows 7 – could it be the new Windows XP?